I created and used this in my financial classes after we discuss credit reports. 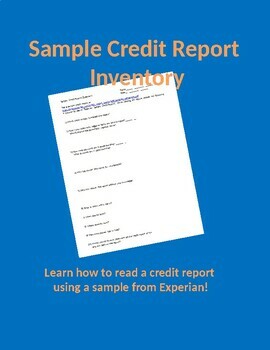 I use the Experian sample credit report that can be found online (the easiest way is by Google Search). 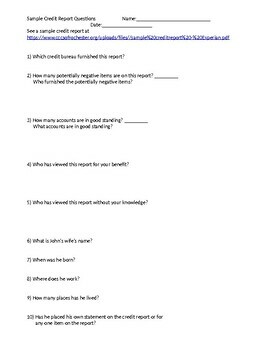 The questions have students review the report with a critical eye so they can see what is on a credit report.